Autumn Equinox is celebrated September 22-24 depending on the year. The day celebrates when the sun crosses over the equator moving from the Northern to the Southern hemisphere. This causes the days to be shorter and the nights longer in Japan. People celebrate this day by honoring those who have passed away by going to grave sites and holding family gatherings. This day is a national holiday. 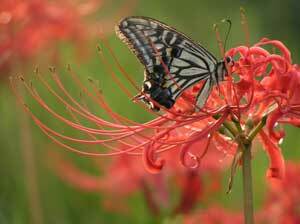 Japan's Autumn Equinox national holiday was established in 1945. Provides calendars for the calendar year for Japan. Provides the dates for holidays for the calendar year for Japan.